As a generation that’s apparently obsessed with brunch, I thought I’d do my bit to add to the stereotype. 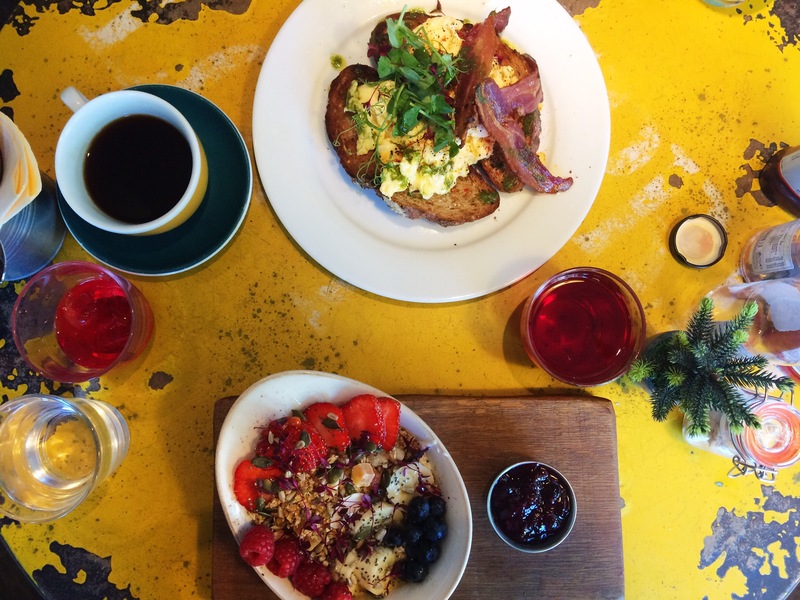 I’ve compiled a short guide to a few of my favourite brunch spots in Cornwall just in case you want to add to the millennial cliché, or you simply like to treat yourself to the best meal of the day. On bustling Boscawen Street is a quiet haven of homemade quiche, cakes and a wicked weekend brunch. As a vegetarian, brunch can sometimes be a bit hit or miss. Flourish’s brunch menu has a real mix for meat eaters, veggies and vegans alike. Their classic full English (pictured above) comes complete with homemade (slightly spiced) baked beans, a fried egg, bacon, sausage, mushrooms, sourdough toast and a fried tomato. But my absolute favourite thing to while away a Sunday brunch at Flourish with is the sweet potato, halloumi and poached egg on toast. Add to that order a bowl of hot chocolate and you can imagine you’re that cool Parisian girl from the Cartier-Bresson photograph you’ve always wanted to be. Just outside Wadebridge along the Atlantic Highway you’ll find Hawkesfield, a roadside hive with an incredible café. Serving breakfasts and lunches inspired by flavours from around the world, Strong Adolfo’s is a place not to be missed. 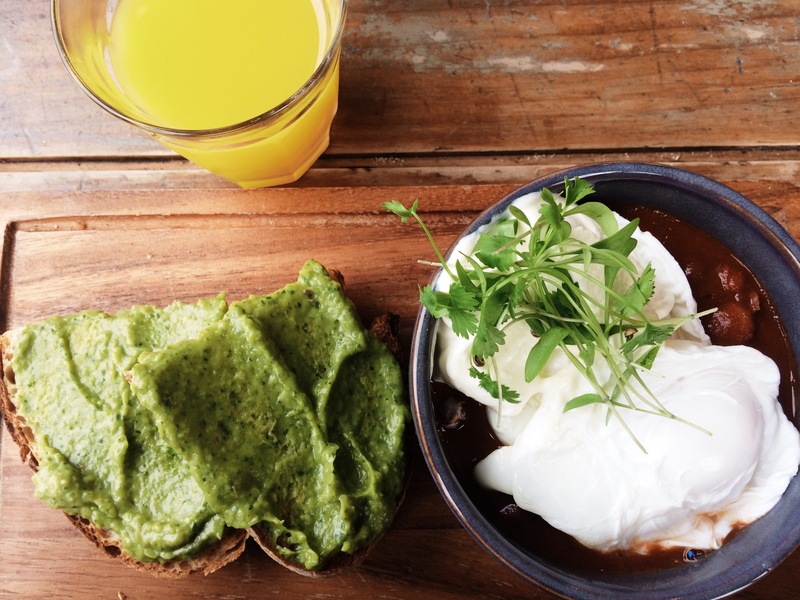 If I had to pick one thing from the menu (and trust me when I say it’s a struggle to choose just one) it’d have to be the bowl of homemade spiced beans, poached eggs, with avocado on toast and a large class of freshly squeezed orange juice. Try it, trust me, you won’t be disappointed. You’ll be hard pressed to find anyone in Falmouth who doesn’t love a Good Vibes brunch, but I’ve met few people outside of the town who know about this gem. Located on The Moor, Good Vibes is a vibrant café where good food and side of positive thinking is at the heart of what they do. A laid back atmosphere, friendly staff and cinnamon buns with toppings ranging from white chocolate to rhubarb and custard, you can always be sure you’ll leave Good Vibes with a belly full of love. A recent find and an immediate favourite, Box & Barber Coffeehouse is a beautiful white, double fronted cottage turned coffeehouse situated on Fore Street in Newquay. With seating outside and a few tables inside, I’d get there early to bag yourself a table. There’s only a small menu on offer in comparison to some other places around, but it’s got everything you need. I had the acai bowl and it was delicious. I was eyeing up a toastie too, but all in good time! I did get a power ball to take away with me, delicious a mix of dates, almond and coconut. I swore I’d make it last until 3pm, but it looked so tempting I caved the second I walked through my front door (about 45 minutes after I bought it). If it’s pancakes you’re after, then Café Uneeka is the place to visit. Back in Truro and on the same street as Flourish, Café Uneeka is tucked away above the shop of the same name. Like Box and Barber, they only have a small menu, just toast, porridge and pancakes, but that is all they need. Choose from honey, banana and blueberry, halloumi, mushrooms and tomato, or maple syrup and bacon. Seriously, you won’t be disappointed. 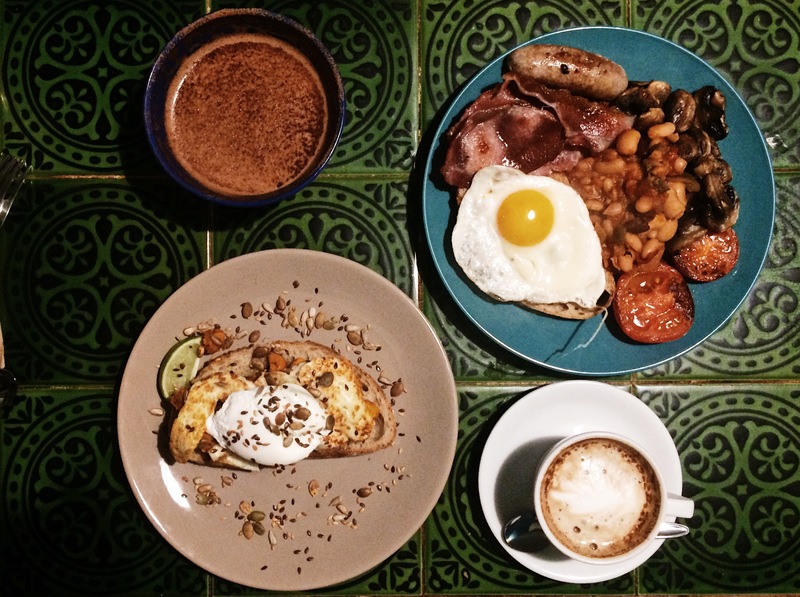 Do you have any favourite brunch spots? I’d love to hear them, I’m always keen for brunch!